← What is the Difference Between a Paper Machine and a Photo Machine? 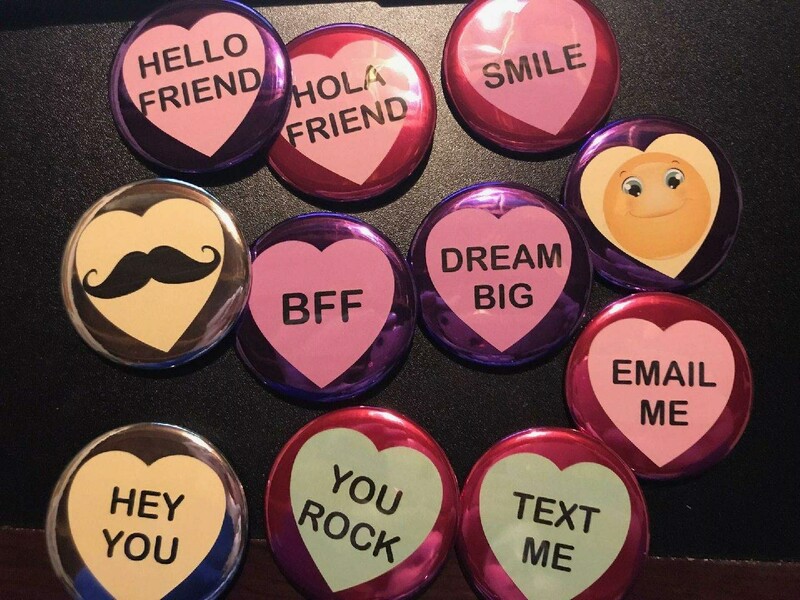 We love a novel button making idea. And this one, which was super creative but yet surprisingly simple, came to us from our friend Amy. Thanks Amy for sharing this awesome idea! We love! please note: Heart-Shaped Mylar Accent Rings are available on Tecre.com in the 2-1/4″ size only. They are sold in purple and red (all rings are reversible in silver). This entry was posted in Button Crafts, Button Making Accessories, Button Making Supplies, Company News, Events, Graphics & Paper and tagged Button maker, button maker machine, button making accessories, button making kit, Button Making Machine, Button making supplies. Bookmark the permalink. Pingback: 87 Things to do with your Button Maker - Tecre Co., Inc.Tecre Co., Inc.